Reposted To Win You Money: Perhaps you know the perils of gambling and therefore avoid it, but did you know there are over 55 million people who regularly enter sweepstakes each year? Some even make it a hobby, like Annalisa Kraft-Linder has done. She wrote about it in this piece for Daily Finance. The odds of winning may feel like they are against you, big-time! You might also hesitate to enter because you know you could be using those precious extra minutes of your life grading papers, planning lessons, or downloading your next audiobook, but what if you win big? 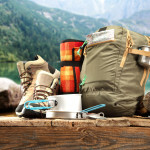 What if you win enough times (or one big one) that you are able to cover the cost of classroom supplies altogether, or finally be able to take that dream vacation, just to get away from it all? Some of my friends hem and haw that they’ve entered raffles and sweepstakes countless times, without any luck. I would have said the same thing. It wasn’t until I tried, just as they did, that I actually won a few prizes, including concert tickets! I submitted a single email entry into a Fox 5 News’ giveaway back in 2008. They were offering a pair of tickets to see Bruce Springsteen at Giants Stadium, and I thought, why not? To my surprise, I actually won. It wasn’t until my mom and I entered the field level seating that I believed in this free deal. Maybe you could go bigger than I did? As in aiming for prizes that could cover a honeymoon, a retirement vacation, new car, home renovations or the like. However, maybe on a teachers’ salary and time constrains, you are worried about the negatives, so let’s consider them first. No surprise, many end up paying hefty taxes, making their “big win” feel like a penalty. This is the case with many popular TV shows that popped up airing renovated or dream home sweepstakes. The families who entered those contests either had to pay back the taxes or put their new homes on the market, as noted in this article about HGTV’s Dream Home show. This may have you reconsidering that move. Sometimes it seems hard to believe that people continue to fall for schemes, but they do. 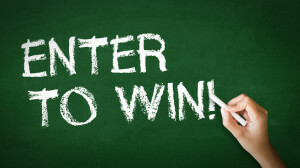 These scams still crop up everywhere and in various forms, including sweepstakes. Check out the top ten scams of the year according to the Better Business Bureau. Unfortunately, I also encountered a scam and it was in my workplace. It wasn’t exactly a “sweepstakes” scenario, but knowing that a pretend “customer” had been misusing others’ personal information for financial gain felt violating to me and to the company. Especially in the case of sweepstakes, where people invest their hopes and dreams, by entering personal information, photos, detailed entries and the like. If someone steals that dream away, it could make you regret participating and keep you from ever doing so again. What about those amazing prizes that are out there? From corporations looking to continually build their brand, or small time bloggers looking to give away some nice prizes in order to gain a following? Let’s look at the positives. There are actually individuals who track, enter and win prizes from various sweepstakes throughout the year, and it is all legit. These “sweepers” know that they must have an organized tracking system, a watchful eye on the prize and if convenient, a PO Box. Some of these sweepers have either won vacations or a gift for a relative who has an upcoming wedding. Some make money from reselling prizes, keeping the cash and making an entire living off of the proceeds. Call it the extreme coupling of the sweepstakes world, but some have achieved success by doing it for years, as noted in this article via ABC News. Is Their Anyone Out There Ready To Reward Teachers? Ok, you may not have appeared on Oprah’s car giveaway episode, which had a well-known controversy of its own more than 10 years ago. However, there are still many good prizes for teachers. PBS is offering a kids writing contest, and a separate entry where teachers can win classroom literature for their elementary school children. Click here to learn more. 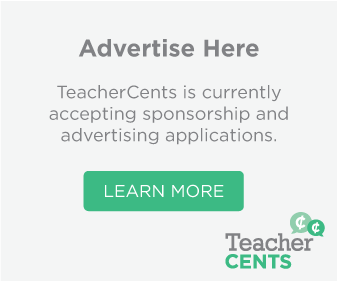 Check out The Penniless Teacher deals on classroom items, or follow the many on Pinterest who are looking for followers and offering prizes for the classroom as incentive. 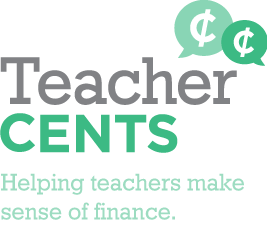 We Are Teachers is also offering a few grant and contest options as well. This Dallas, TX radio station aims to be “family-friendly” and kind to Teachers of the Month too. So does this one in Milwaukee, WI, which is now offering trips to the general public as well as prizes for Teachers of the Month. So, maybe there are some people who think teachers should earn extra prizes. Have you ever entered a sweepstakes for yourself or your classroom? Would you encourage your students and their families to do the same, why or why not? Tell us at TeacherCents. Very helpful information specifically the closing part 🙂 I deal with such information much.